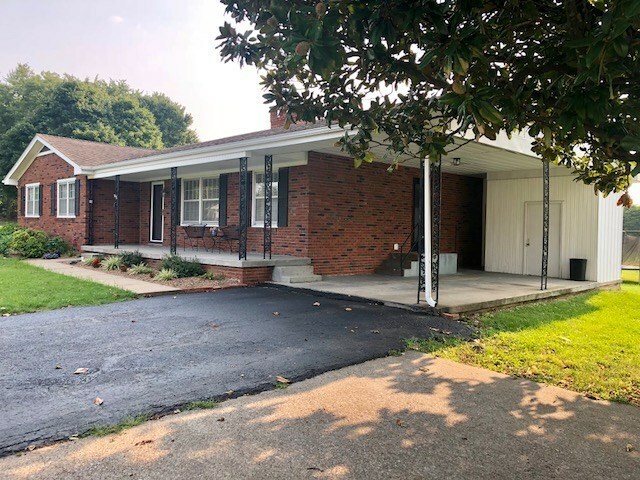 Super nice brick ranch home with 3 bedrooms, 2 baths, and a carport. Situated on a large lot with a detached 20x20 pole barn. Large master suite. Wood burning fireplace in the dining room. Stainless steel appliances in nicely updated kitchen. HVAC is 1 year old 100% financing for qualified buyer.